Thanks to everyone who participated in National Green Week 2013! It was a huge accomplishment and we wanted to follow up with an update on the success of our sustainability programs. Between February 4th and April 30th, schools, classrooms and youth groups from across the country and around the world participated in the Green Week program. 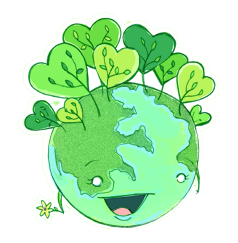 National Green Week is a time to make students aware of important sustainability topics and get them excited to do their part to make a difference! What better way to drum up enthusiasm than with a fun and educational contest? This year there were three contests available at the national level to participate in during Green Week, each with their own great prizes and sustainability focus. At the close of each National Green Week, Green in Action Awards are granted to inspiring projects based on GEF’s sustainability themes. We congratulate all schools and youth groups who submitted their sustainability projects, lessons or activities and offer special congratulations to the Mendham Township Elementary School’s 3rd Grade Green Team for being selected as the winner of this year’s Green in Action Award! We also congratulate this year’s semi-finalist, Williamsburg Preparatory High School and give a special shout-out to our 2013 runners-up. Visit the 2013 Green in Action Award Winner’s page to view projects and pictures from some of the best submissions we received this year. Launched in 2008, GEF’s National Green Week continues to grow with enthusiasm and achievement. Respondents of GEF’s program survey provided positive feedback on GEF’s National Green Week program this year. Results show that 88% of teachers would recommend GEF’s programs and curriculum to their peers and 62% of teachers reported that after participating in Green Week, they are extremely likely to continue to teach sustainability or pursue sustainability projects. One teacher commented, “I am looking forward to continuing the programs we started this year and adding other activities that will help us be good Earth stewards.” With extremely optimistic survey results, GEF hopes to improve existing programs, develop new sustainability initiatives, and provide more resources for schools to utilize. The other National Green Week contests were the Water Audit Raffle and the Green Classroom Pledge. The Water Audit Raffle asked students to conduct a water audit of their home or school as a way to understand how much water is used and possibly wasted every day. 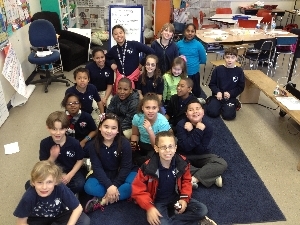 We congratulate The River School, the winner of this year’s Water Audit Raffle! The Green Classroom Pledge outlines simple ways a classroom can have a significant impact on the environment. We congratulate the winners of this year’s Green Classroom Pledge Contest, the Burns Science and Technology Charter School and the Dennis C. Haley Pilot School. Thank you for your support of sustainability education! Join us in 2014 for the National Green Week movement to start making a sustainable difference at your institution! This entry was posted in Uncategorized and tagged green in action, Mendham Township Elementary School, national green week, NGW, Williamsburg Preparatory High School. Bookmark the permalink. 1 Response to Wrap-Up of National Green Week 2013!